The Organisational Review is reaching a crucial phase and the BMC is now seeking feedback on the proposals to go to the AGM on 16 June; the proposals will be discussed at the forthcoming (11-19 April) round of Area Meetings and include some extremely important issues to the future of the BMC. At its meeting of 17 February the BMC’s National Council considered the proposal by the Organisational Review Group (ORG) to hold two General Meetings in 2018 (June and November) and opted to seek approval for the high level governance changes required to ensure ongoing Sport England funding (and importantly the BMC’s position as the government recognized umbrella body for climbing and hill walking) by June. The BMC has been part funded by Sport England (and UK Sport at times) for the last 30+ years and the current total funding to the sector (BMC, Mountain Training and the climbing wall industry) amounts to c.£380-470k per year (projected income for 2018-21). The 17 February meeting set up an implementation working group* to liaise with legal advisors and Sport England and develop the draft documentation to go to the April Area Meetings. Following publication of the second ORG report in early March an additional National Council was held on 10 March to agree the specific recommendations to be taken forward by the working group. The past four weeks has been a frantic period for the working group and a significant voluntary effort has been put into the package now presented to members for discussion. A general need to update, modernise and reformat the BMC’s constitution to bring it in line with contemporary good practice and the Companies Act. The constitution was produced in 1990-93, pre-dates the internet and has never been subject to a comprehensive review. There is a strong case that this is needed. National Council’s desire for the BMC to continue to be recognised by government as the umbrella body for climbing, hill walking and mountaineering. Funding is part of this equation but there are more important issues including the potential loss of influence and stature across government agencies and partner organisations, and the fragmentation of the way the climbing and hill walking sector engages with government. 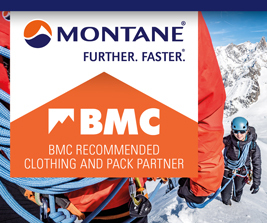 Proposal 1: updates to the BMC’s constitution (Memorandum & Articles of Association) considered necessary for the BMC to comply with the Companies Act and the necessary governance requirements to enable the BMC, Mountain Training (MTE, MTUK) and the climbing wall sector (ABC & ABCTT) to continue qualifying for Sport England funding. 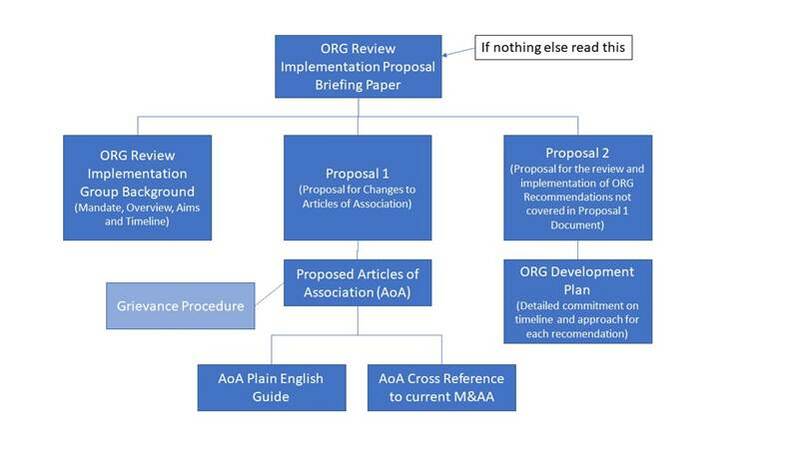 Proposal 2: a commitment to make a detailed assessment of the costs and benefits of the remaining ORG recommendations and deliver them in a timely manner with proposals for any further constitutional changes to go to the 2019 AGM. National Council is encouraging all members to read the proposals, attend the April round of area meetings, and share their views via the online mechanisms listed below. All views expressed will go directly to working group, which will then present amended proposals to National Council on 28 April. Subject to changes and National Council’s approval, resolutions will then be presented to the AGM. Specific responses can also be submitted to the working group via a Google Form.